Yesterday we spent the day over at Disney and after finishing up early at Animal Kingdom we headed over to Disney Springs for lunch. 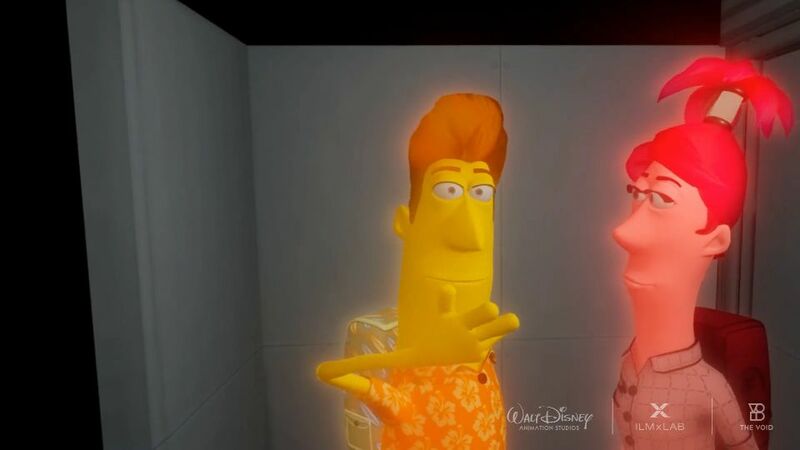 After eating at Terralina we went over to The VOID and played “Ralph Wrecks VR” … WOW! The VOID bills itself as a “hyper-reality … whole-body, fully immersive VR experience” and it delivers. You put on a VR helmet and equipment vest and then get to walk around the virtual world by actually walking. You’re not tethered to anything, you’re completely detached and free. If DisneyQuest was still around, this would fit right in. Unlike my first (disembodied) experience with the Oculus Rift, you can look down and see your body, your arms, even wiggle your fingers. Check your wrist and you can see the scoreboard flip up. You can talk to your team members and see their mouths move as they talk back to you. 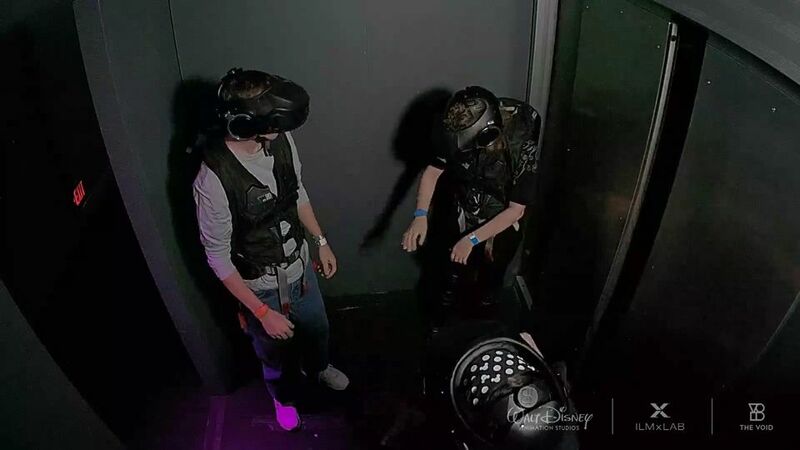 You can reach out and touch the wall, grab a railing, press buttons on a control panel, and it all syncs with the VR world in the helmet without lag. It’s just incredible! We chose “Ralph” over “Star Wars” because this was wife’s first immersive VR experience (and she’s not really into Star Wars). It was a great family experience and there was no dizziness, no motion sickness, it was seamless. The vest even had some force feedback mechanisms so you could feel things hitting you, or get shocked. The best part? Pancake/milkshake gun … oh yeah, come get some! My daughter and I will definitely go back to try the Star Wars experience. My only complaint is the wait time. We had 1:30pm “reservations” but had to wait in three separate staging areas for about 20 minutes each, so by the time we actually got to play it was after 2:30pm. The experience itself was about 20 minutes and they only have a certain number of “arenas” so I guess I should have expected that (plus, they were only running “Ralph” in one arena, so the “Star Wars” line was moving faster.